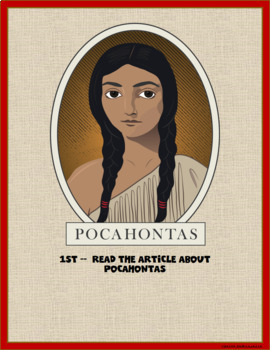 Your students will enjoy reading and researching about the life of Pocahontas. 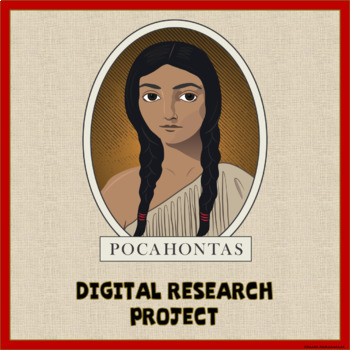 In this activity your students will read online web information, create banners and then summarize information they learned about Pocahontas. Students can complete their own banner as they write facts and information. 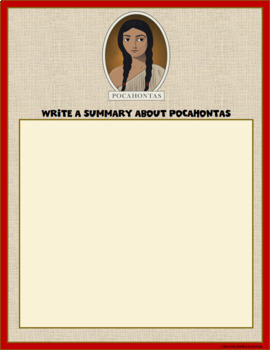 In this hyperdocs- I have included a place to write a report. 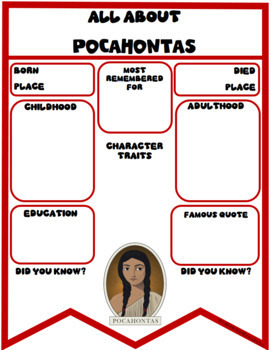 This activity is wonderful for the 21st century classroom as your students will be excited and engaged as they practice identifying nonfiction facts key details in text. This HyperDocs is formatted so that your students have everything they will need in one place. Activities include sharing ideas with classmates, reading online information, completing graphic organizers, summarizing text, creating banners, creating a recording, writing a report. -Graphic Organizers- summary and or report writing. This product will be accessed as a link in a PDF file. You will need to be signed into your Google account. Next you will need to click on the link and you will be prompted to "Make a Copy". You can rename the file. In this PDF I explain what you will need to know and do for setting up this fun activity in your classroom. I included direct links to help with this. I recommend free accounts to ReadWorks and FlipGrid, but NOT REQUIRED.